The trendy and vibrant Caran d'Ache 849 is creative, innovative, contemporary and graphic. 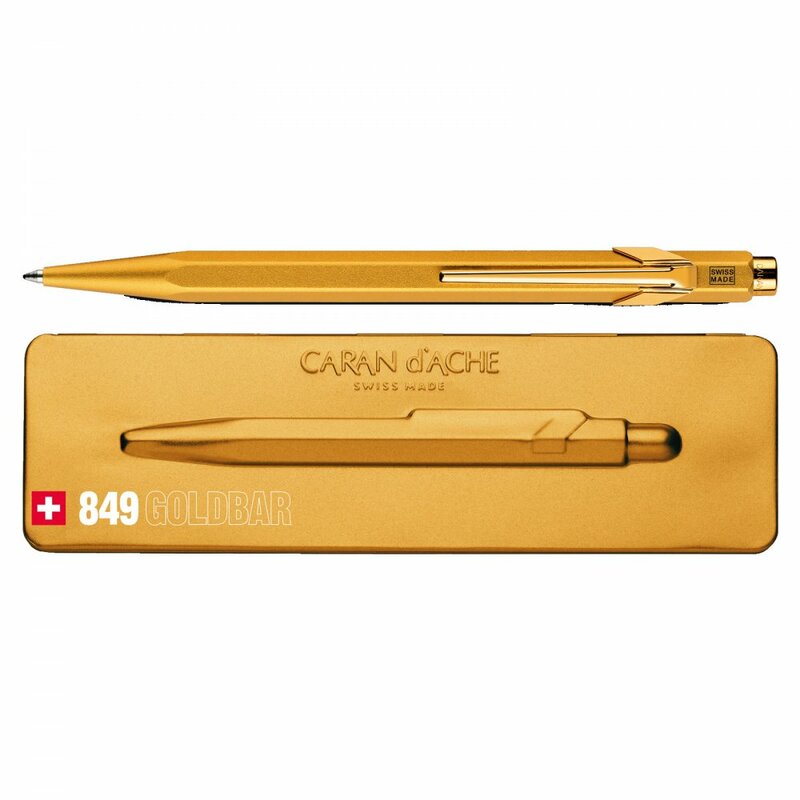 Its stunning limited edition Gold case contains a sophisticated and advanced Ball Point pen. Perfect for a special gift. Nice presentable case and pen. Smooth to write with, well balanced and sits comfortably in your hand.